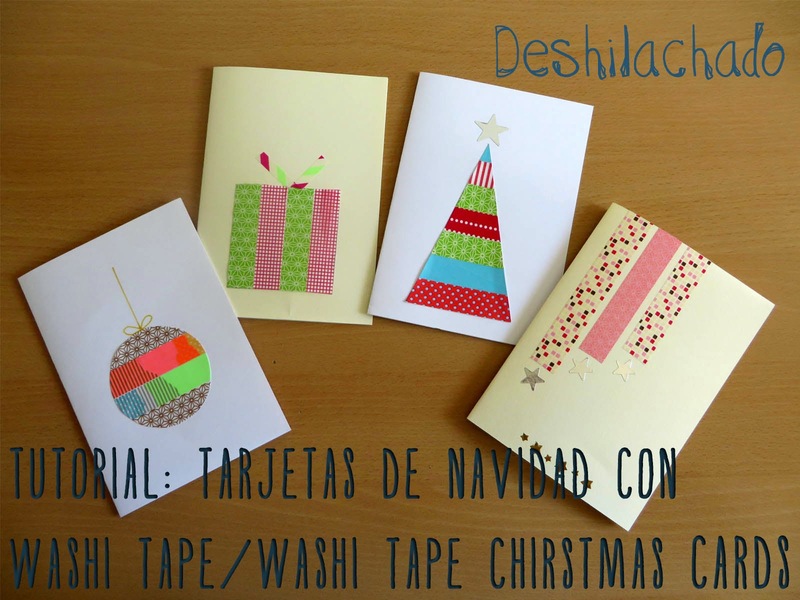 Este año he hecho las tarjetas de Navidad con washi tape. I have my Christmas cards with washi tape this year. 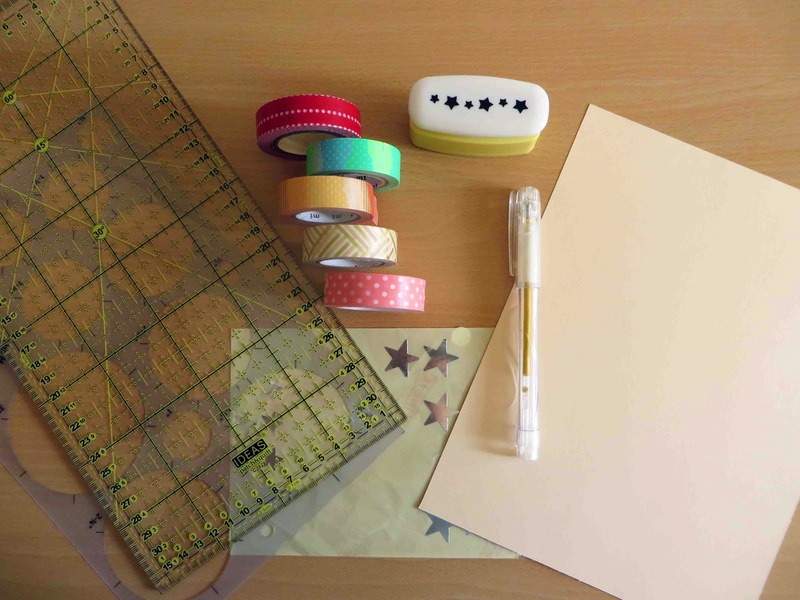 He utilizado cartulina, washi tape, reglas y plantillas, pegatinas, rotuladores y un troquelador. 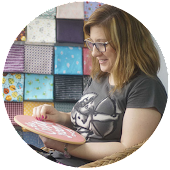 I have used cardboard, washi tape, rules and templates, stickers, felt-tip pens and a pop up punch.